Essential Hints for Families when traveling to Rome with Kids! Essential & Helpful Hints for Families when traveling to Rome with Kids! Rome is truly an astonishing city, a cross between the high rises of a modern society with the scatter of ruins from a historic era. This city is claimed to be one of the oldest named cities in the world! A city that is so old, that it has been called ‘The Eternal City’. History can be boring for kids, and not every child enjoys ancient architecture. 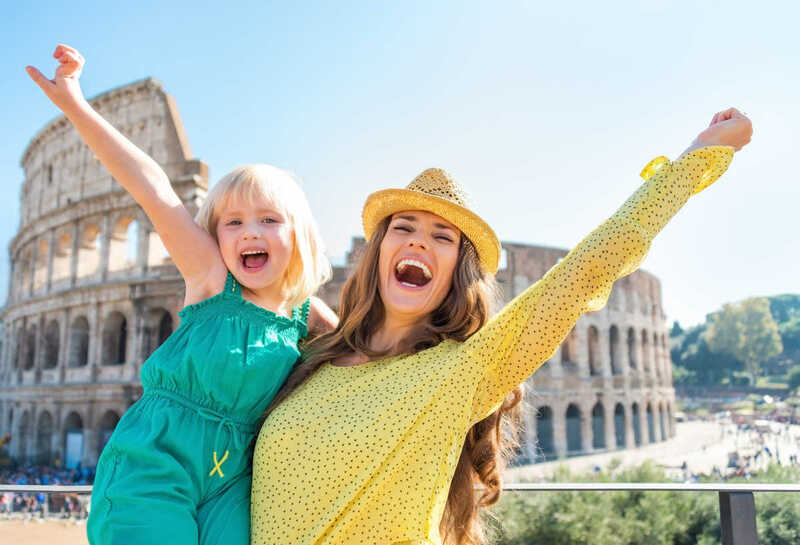 So we want to share with you our Rome hints and tips to help you make the most of this city on your family holiday to Rome! Rome is one of the best places to visit in Italy with kids! 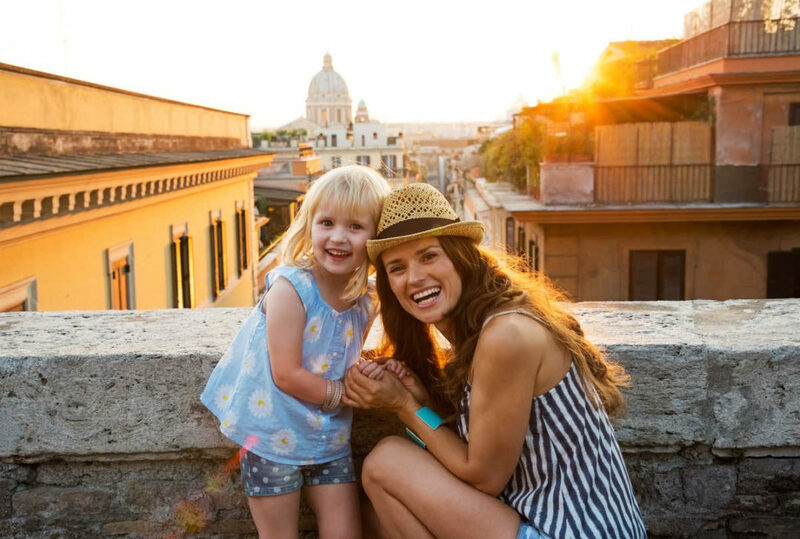 Tips for Families when traveling to Rome with Kids! 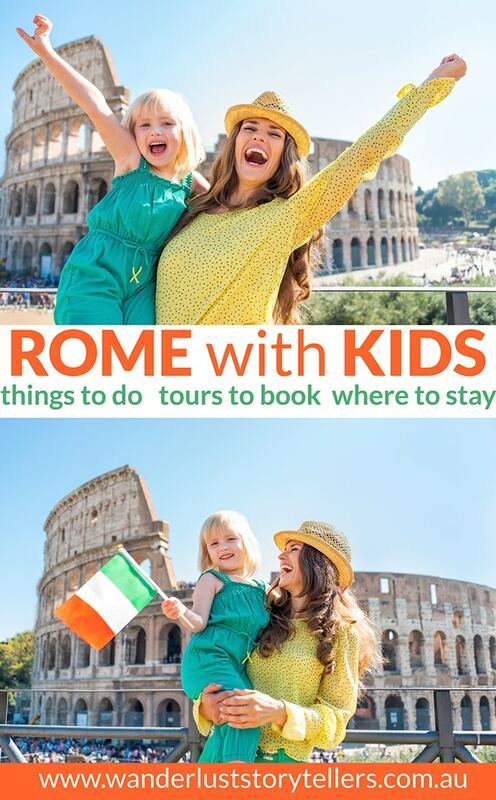 We hope you find our comprehensive Rome with kids guide beneficial! We have included a list of the top things for kids in Rome, helpful info on where to stay in Rome with kids as well as highly recommended Rome kids tours. All the information should make it easy for you when you compile your Rome with kids itinerary. Other Mentions of things to do for kids in Rome! Below you can find a list of the top10 things to do in Rome with kids. We find that 3 days in Rome with kids is just the right amount in order to see the kids attractions in Rome without having to feel rushed! The Colosseum should be on the top list of things of what to do in Rome with kids. It truly is magnificent; one of the true wonders of ancient Rome. It is easy to forget about time passing by whilst staring at it’s glory in absolute awe. The history of the Colosseum is incredible. Even for non history fans like myself, I still encourage you to join a tour or hire an audio guide if you can. Whilst I haven’t done this tour myself, I found this tour guide who specialises in Rome tours for kids aged between 7 and 12. If your kids are young, it really might be beneficial to get hold of a documentary to get an overview of the history and watch it before you go; leaving you with more flexibility to wander at your own pace. The queue for the tickets can be long for this one, so our recommendation is to get there early or later in the afternoon. We recommend you pre-purchase your tickets on-line which helps to progress through the queue’s at a much faster rate. Colosseum Entry Tickets are currently 12 Euros plus online fees, children under 18 are free. Take a hat, sunscreen and water bottle with for the family members. It can get extremely hot standing in the sun with the heat baking on those ruins. Try to avoid the midday heat. Colosseum Opening times vary depending on when you are going. So please check the bottom of this page to find your opening and closing times. Be prepared to spend at least 2 hours here. Get more information, handy tips and facts on the Colosseum for kids! Use this comprehensive post to help you figure out how public transport works in Rome. This building sure demonstrates the marvel of the Roman engineering. This colossal building is over 1900 years old! When in Rome with kids; the little ones will love the sheer size and height of this building whilst the parents can enjoy some brief history surrounding the fascinating aspects of this incredible site. 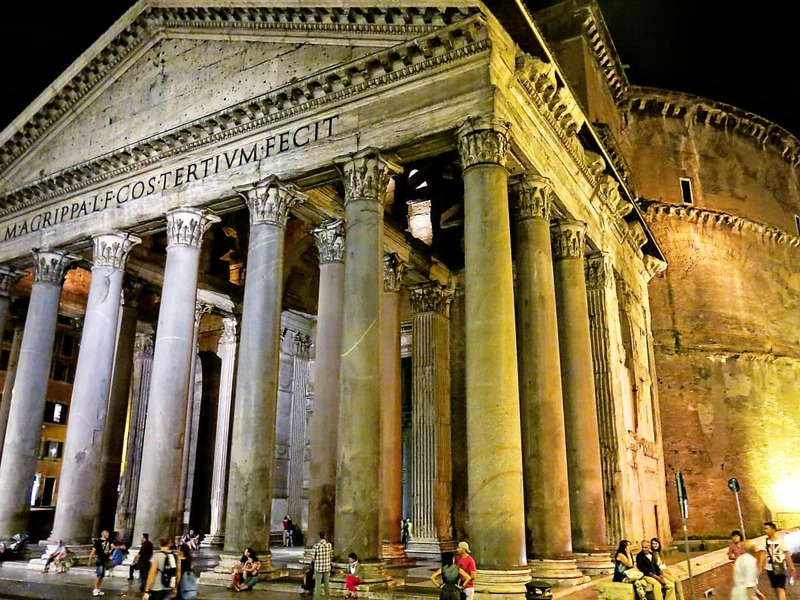 It is a perfect example of Roman architecture for kids to enjoy! 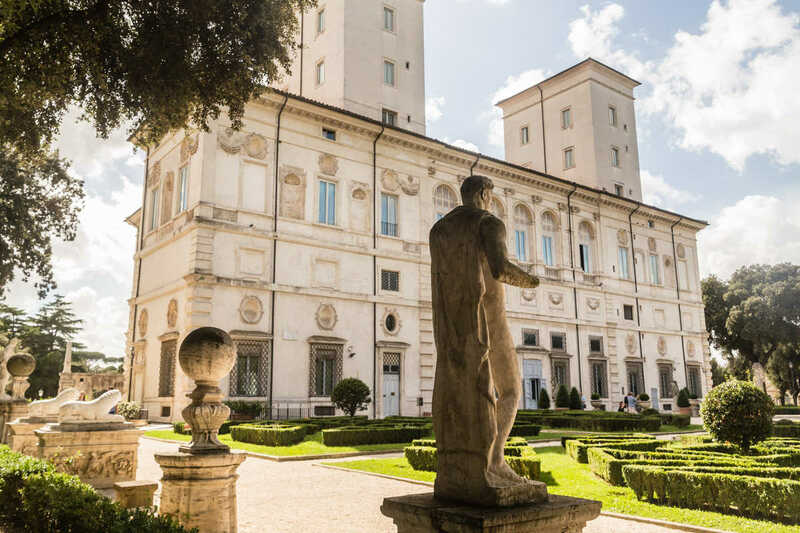 We highly recommend this sigh for your list of things to do with kids in Rome, not because of the building, but because of the piazza that lies around it! There is a metro close by for easy access to the Pantheon, which is located in the Piazza della Rotonda. Pantheon Entrance Tickets: Entrance to the Pantheon is free of charge, you can pay to join a tour or hire an audio guide or even listen to some commentary from some of the machines once inside. Pantheon Opening times: Mon – Sat: 9 am - 6.30 pm and Sun: 9 am –1 pm. Recommended time to devote to the Pantheon is around 30min - 1 hour. We visited the Pantheon at late afternoon, around 5pm, and the queue was pretty short. There is a gorgeous fountain – Fontana del Pantheon in the Piazza located in front of the Pantheon, kids will enjoy playing at this fountain which has a feature of 4 dolphins around the bottom. There is also heaps of little cafe’s where the parents can sit down and enjoy a coffee whilst keeping an eye on the kids. For extra fun, visit Gelateria della Palma in the street near the Pantheon. Your kids will love you forever for it. This place looks like something from the Willy Wonka Factory with a dizzying array of gelato flavours. Trying to choose something from over 150 flavours can be slightly tricky!! I don’t think the Trevi Fountain needs much explanation here. One of the most famous fountains in the world. What is not too love about this gorgeous place? When traveling to Rome with kids, make sure you bring enough coins as the kids will delight in making wishes whilst watching the coin splash into the water. Check to see at what stage the current renovations on the fountain is at. When we went the entire fountain was under scaffolding and it was really disappointing after walking so far to get there! Make sure you take some coins for the family, make a wish and throw it into the fountain. Let me know if your wish comes true!! It is thanks to the first Apostle Peter, and the first Pope and leader that this magnificent Christian church was built. The interior of this church will amaze adults and kids alike, the colours, the detail, the artwork, the light shining through the dome. If your kids are old enough to endure heaps of steps the climb all the way to the top of the dome is highly recommended by us not only to get a close up look at the interior of the dome, but also to get a fabulous 360 degree view over the Vatican grounds as well as Rome. There is always a long queue (with often a waiting time of 1-2 hours) to get into the Basilica, so it might be advisable to pay for a guided tour which will allow you to skip-the-queue. Otherwise ensure you have a hat, water bottle and sunscreen, as you will be spending time in the sun whilst lined up. St Peter's Basilica Entrance Tickets: free. The Vatican City Opening times: Oct – March is from 7am till 6pm and from April – September from 7am – 7pm. Not everyone realizes that there is a lift (that you must pay to use) that can take you to a second level of the Basilica where you can get nice views of the outside of the Cupola as well as a beautiful view of the statues and the square below. If your kids are fit and older, it is also recommended you climb the stairs all the way to the top, where you can get an up close view of the interior of the Cupola together with a 360 degree view over Rome. Be warned though, there are over 300 stairs and it can get cramped and hot with all the other tourists sweating their way to the top. If your family can handle it, it is highly recommended by us. Recommended time at St. Peter’s Basilica is 2+ hours, not including the waiting time in the queue. Wear clothes that cover shoulders and knees as required when you explore sacred sites in Rome. The metro is located close by for easy access to the Basilica. The Knights of Malta Keyhole, even for us adults, blew us away. Not only does Aventine Hill have beautiful views of Rome but you can also wonder through the Santa Sabine Orange Grove Garden, which smells simply divine. 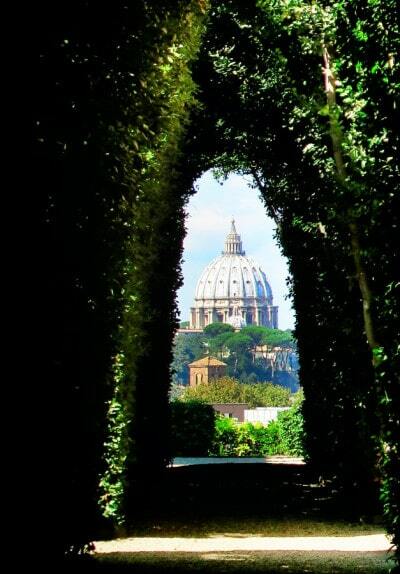 Close by is a ‘magical’ door through which you can peer to find a garden of lovely green hedges creating a tunnel to perfectly showcase St. Peter’s Basilica. Truly amazing and astonishing. Take a hat, sunscreen and water bottle with for the family members. It can get extremely hot standing in the sun in the queue. Our queue moved fairly fast and there was only about 12 people in the queue. Try to avoid the midday light which will wash out the beautiful St. Peter’s Basilica with harsh light. We went mid-afternoon and it was beautiful. Aventine Hill is close to Il Gelato (Claudio Torce), which is arguably one of the best gelato places in Rome. A perfect way to cool down after standing in line in the hot sun! Don’t miss it on the way back down. Bocca del la Verità - An ancient stone mask representing a river God including an open mouth, wide eyes and a windswept mane of hair. The Mouth of Truth legend says that if a liar puts his hand in the statue’s mouth, he will loose his hand. What awesome fun for kids to experiment with haha!! You will find the Mouth of Truth in the portico of the Paleochristian church of Santa Maria in Cosmedin, at the foot of the Aventine hill. Entry is free, one of the staff will take the photo for you and it is a nice gesture to donate money in return. The line-up when we went stretched out to the street and we almost decided not too bother. However, as someone controls the click of your camera and tourists are only allowed one photo, the queue moves pretty quickly and some shade once off the street pathway will help the ease of the wait. If you can, wear clothes that cover shoulders and knees as you need to exit through a church. However they do provide you with a cover-up if required. I know my kids get excited about double-decker buses, doesn't yours? Get around and see the best sites in the city on this double-decker bus offering great views of Rome. The bus includes 9 stops and you can choose to purchase either a 1 day or 2 day pass. Each of the 9 stops is close to many points of interest, including parks, museums, churches, fountains, and more! Definitely a more fun way to explore Rome than by foot!! I know I don't like dragging or carrying my kids around all day! Tickets are very affordable and worth every single dollar. I know we all love getting our kids outdoors and there is no better place than at Rome's second-largest public park. You might wish to simply enjoy a picnic whilst the kids have a run-a-round, or alternatively you might choose to rent a rowboat for a row around the lake. You can also go for a bike ride and even ride a Segway. You will find playgrounds, pony rides (weekends only) as well as a zoo. A great activity for younger as well as older kids alike! Probably the best way to learn about the history of Rome at a level suitable for kids!! Hop on a 3D ride that will allow you to travel through time, from Romulus and Remus to Julius Caesar to the Renaissance. Then enter the modern age as you cover 20th-century events up to the present day. A history lesson in 45 min on a multi-sensory simulated time travel machine! Oh hell yes!! These things for kids to do in Rome are probably more suited to kids who are a bit older in age, although you could get away with visiting these sights if you go-with-the-flow of your child or if you choose to hop on a tour that has specifically been designed for families. The Roman Forum: The Roman Forum can take a lot of time to explore. It truly is amazing. The reason I popped it on other mentions is simply because of the walking required and the amount of time taken to get from point to the other. If you have younger kids, this might make it challenging. I do recommend getting a beautiful landscape view over the Roman Forum from the Palentine Hill at the very least! The Spanish Steps: The Spanish Steps are so well known. I bet many of you think of the steps when we think of Rome, together with the Trevi fountain. Our experience of the steps might have been damaged by the renovations carried out, and by the mere fact that there were that many people on the steps that you could not even see them, however to us, whilst beautiful, it really was only steps. So I suggest, if you have time, go and see it, otherwise give it a miss. The Vatican Museum: The Vatican Museum is surreal! However to do it justice, you really need to devote around 1/2 a day to see it in all it’s glory. When we went, our feet was aching from walking around all day. We really wanted to see the Sistine Chapel, but the museum was absolutely packed with people. 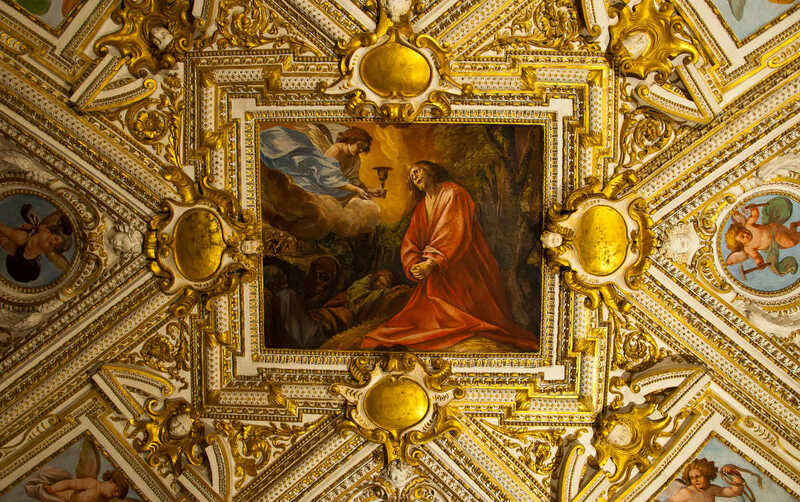 The way to the Sistine Chapel takes patience and time. I believe we spent around 45 min pushing past people in order to get to the Chapel itself. So if you go, be prepared to hold your child’s hand very tight, and exersize patience. If you do wish to tackle the museum, do check out the prices for the Fast Track Entrance Tickets, which will allow you to bypass the queue. 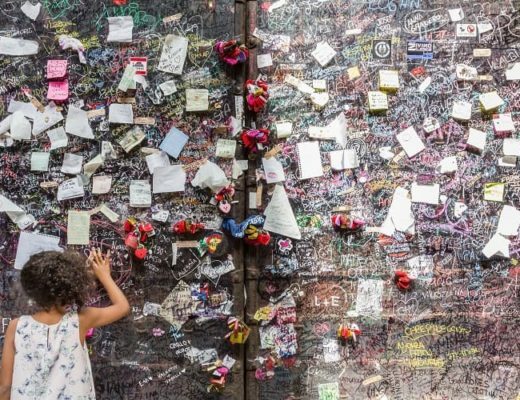 Below you will find our favourite Rome tours for kids! These tours have all been designed for families and are run by tour guides who especially love working with kids. They are interactive and fun and most importantly the guides will adjust their tours to suit the pace of your family! The kids will love the Colosseum on this skip-the-line tour, which has specially been designed for children from 7 to 12 years old. 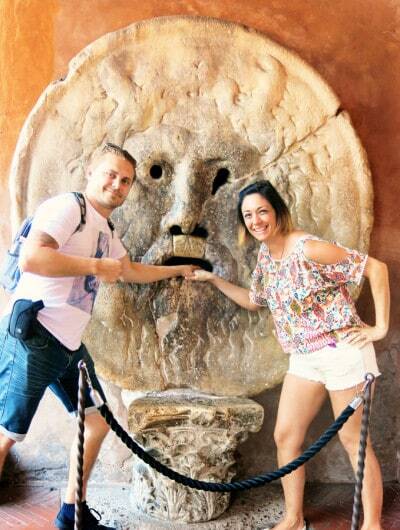 It is the most popular tour on Viator for families who are visiting Rome! You’ll explore the sites of Ancient Rome with your kids in an interactive way that includes visual aids, role playing and games. 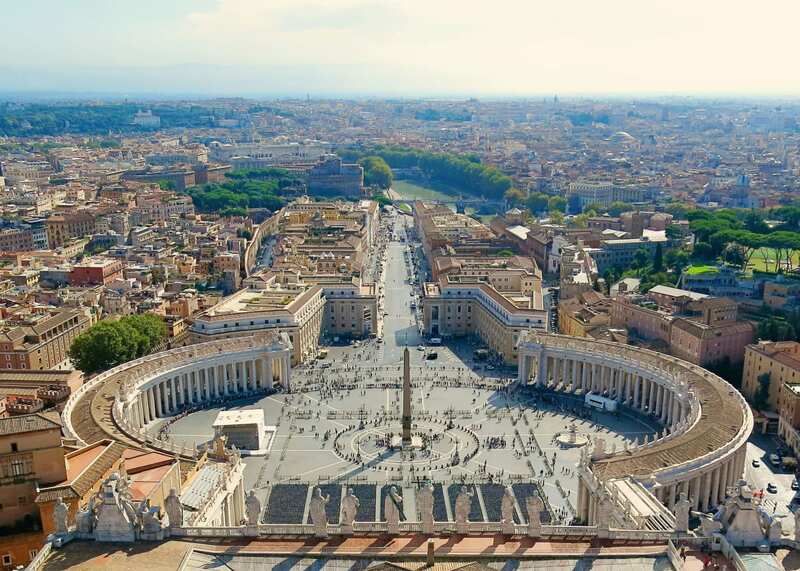 Enjoy a 3 hour Vatican private tour that has been designed for families; which means that you can explore the museum at a pace that suits your family! With a kid-loving guide, you’ll tour St Peter’s Basilica and the Vatican Museums, including the Sistine Chapel, to learn about the history of the site and see its famous collection of art by masters like Michelangelo. Skip-the-line admission is included! If you want to see the museum, then this is the way to do it! Wondering where to stay in Rome with family? 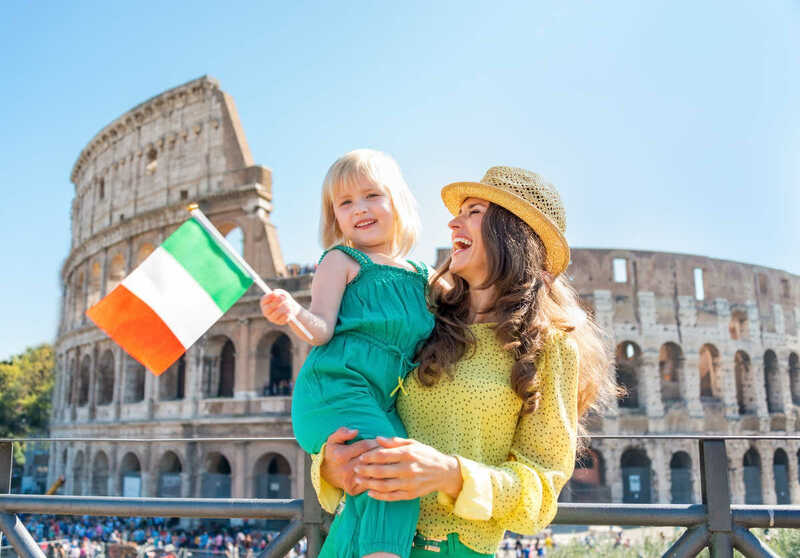 Of course the smartest move you can make is to find and book family friendly hotels in Rome that are located close to the kids activities in Rome. You will be on your feet a lot in the day, so it is important to find a conveniently located hotel. So here is our list of best family hotels in Rome to help make the booking process easier for you. 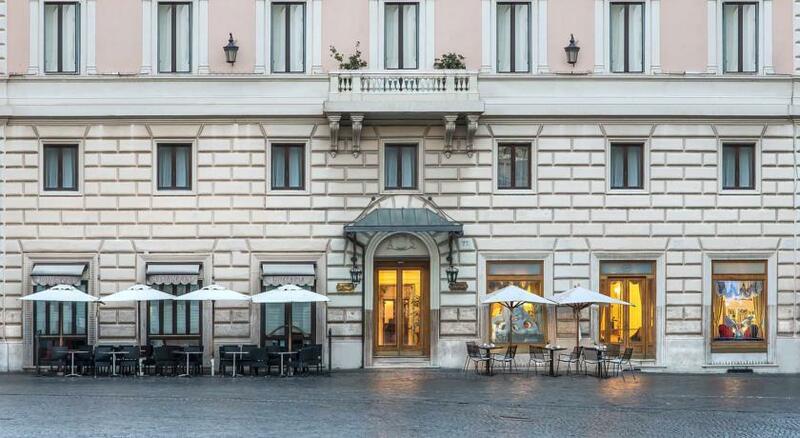 This hotel is one of the bestselling Rome family hotels! Whilst it comes at a higher price tag, you won't be able to beat the location, the views and premium luxury of the rooms! 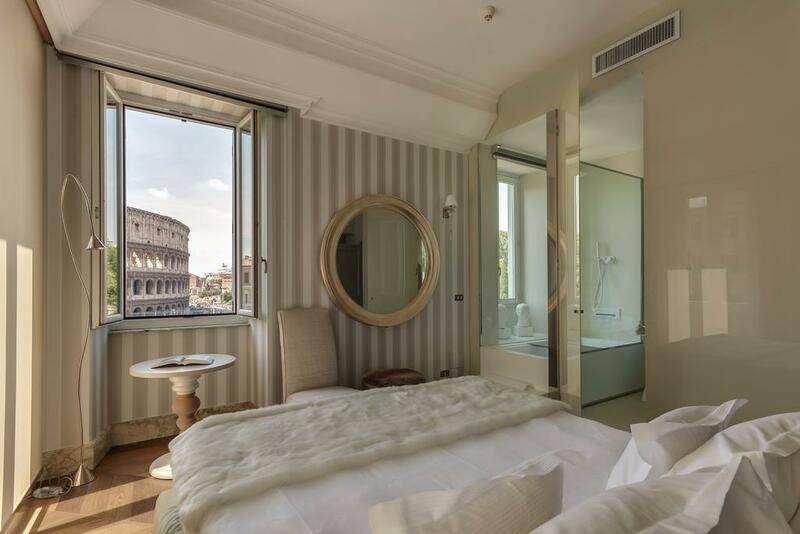 Located right across from the Colosseum, this hotel has double rooms which sleep 2 pax, one bedroom suites to sleep 4 pax and has an additional bed available on request. The rooms also offer self-catering as an option which is brilliant for families! 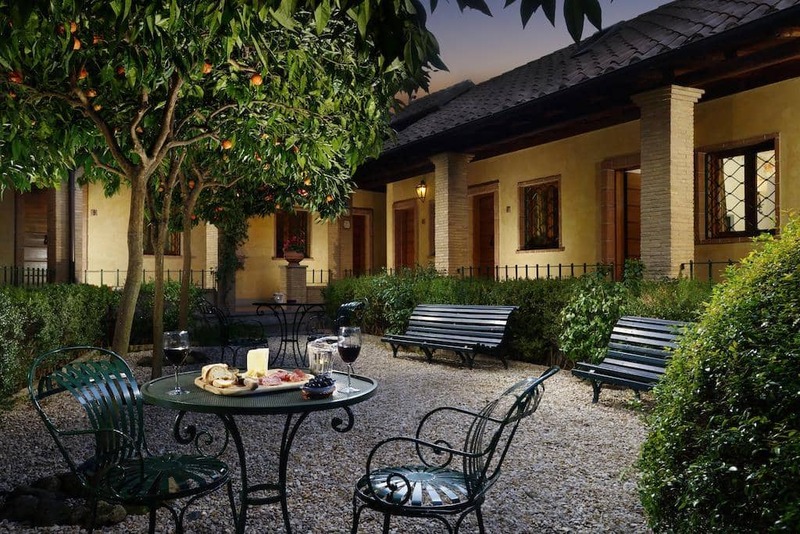 Best Features: Each room has a view of the ancient ruins along the Roman Forum. 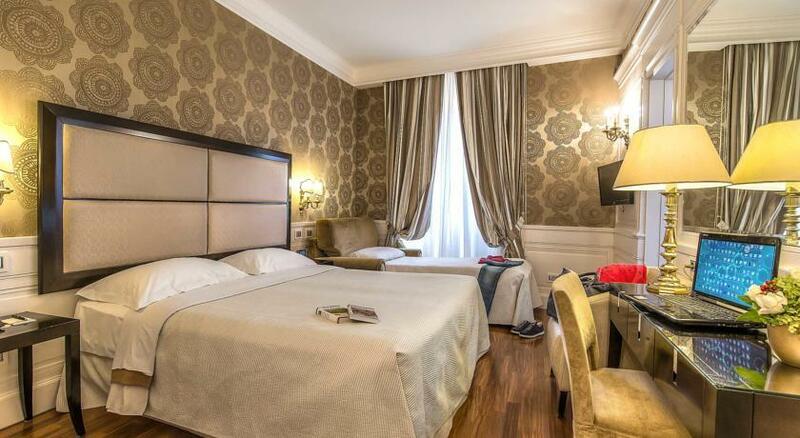 This hotel is one of the top rated family hotels in Rome Italy! It is definitely a hot favorite by families and comes at a very decent price point as well! 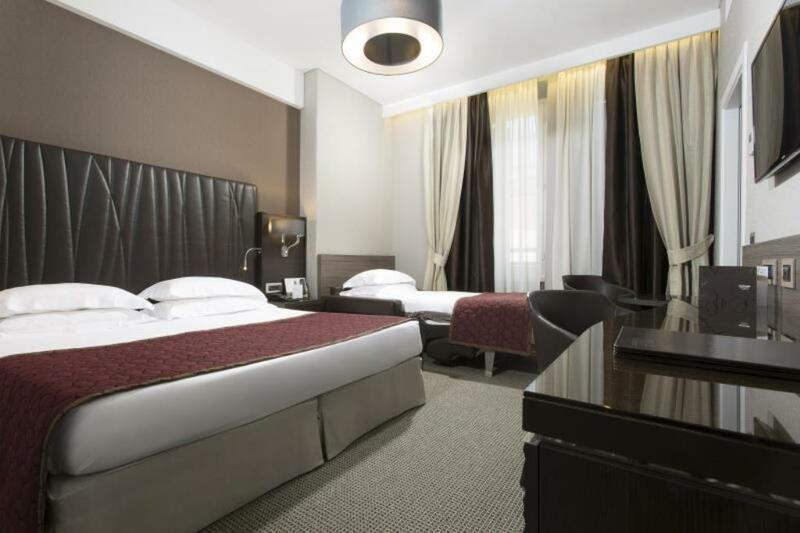 The hotel is set in a brilliant central location; close by to the Colosseum, Roman Forum and the Termini Train Station. The hotel offers Family Rooms that can sleep up to four in one-bedroom with a king bed and a separate area with a queen bed. You also have the option of an add-on single bed for your smaller rooms. They also have free buffet breakfast included with the stay and the benefit of a free stay for kids under the age of 3! A popular hotel to base yourself in for your family holidays to Rome! Best Features: Roof terrace bar with views of the city and Vatican. Free breakfast buffet a free stay for kids under 3! 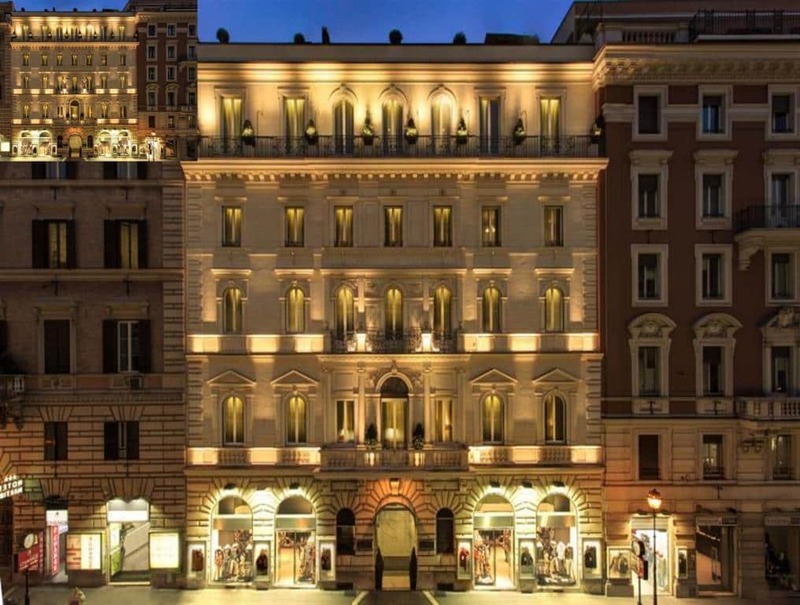 This hotel is located in the Piazza della Rotonda, right in front of the Pantheon. Around here your kids can enjoy playing in the fountain, they can indulge in one of the pizza's in the many cafes close by! And make sure you pop into one of the most popular gelato stores that will be right around the corner. The hotel is located in a brilliant spot! Offers apartment style living (space is a rare commodity in Rome hotels!) and it even comes at an incredibly affordable price tag! What is not too love here! Best Features: Two-Level apartments for families! Brilliant location! If space is more important to you than the location, then we highly recommend Hotel Santa Maria! This hotel is absolutely perfect for families and some rooms can even accommodate up to 6 people. 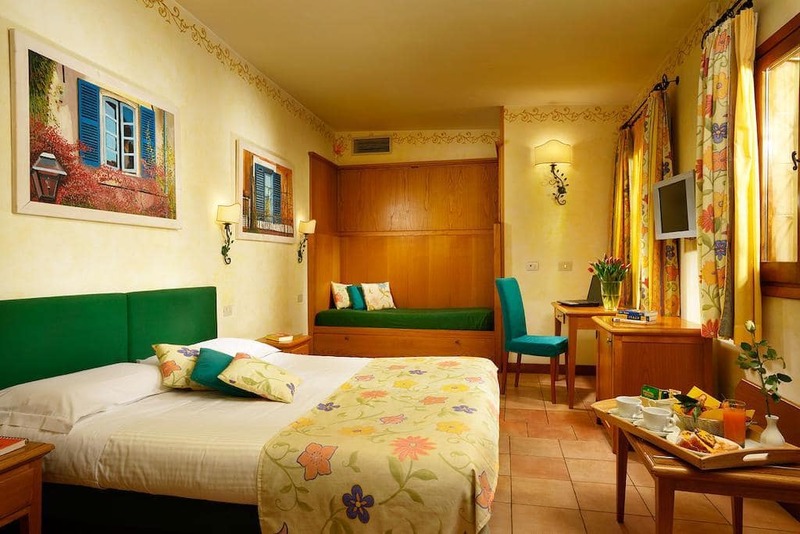 Hotel Santa Maria offers quad rooms, junior suites and full suites that can sleep four to six people comfortably. If you are after even more space, the Senior Suite is a two-level room. On the first floor you will find a double bed, a bathroom and a living area where two single beds can be added. Upstairs, in the loft you will find two single beds. Located in Trastevere, this very affordable hotel has loads of features that attracts families, such as free bicycle hire, babysitting services, free wifi and private tour options. Best Features: Quad rooms, junior suites and full suites that sleep up to 6 people! Free bicycles to use to explore the city. 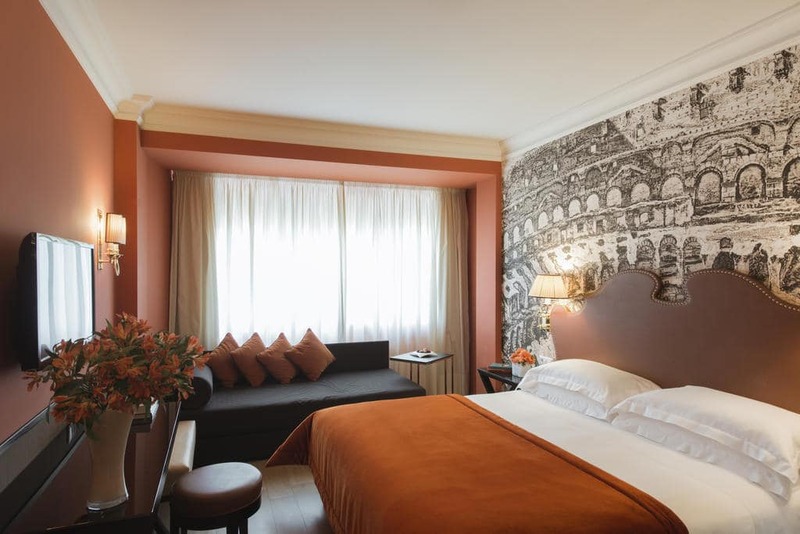 This beautiful hotel is set in the heart of Baroque Rome and happens to be one of the more popular hotels in Rome Italy near Vatican. It is affordable and has rooms specifically designed for families. If you are after a room suitable for a smaller family, the Junior Suites have a King Size bed and a sleeper sofa that you can separate by a private curtain. The Family room is suitable for families of 4 and contains 2 double beds or 4 singles. Best Features: Yummy buffet breakfast is included. 5 Min walk from St Peter's Square. You have a few different choices of how to get from the airport to Rome city. 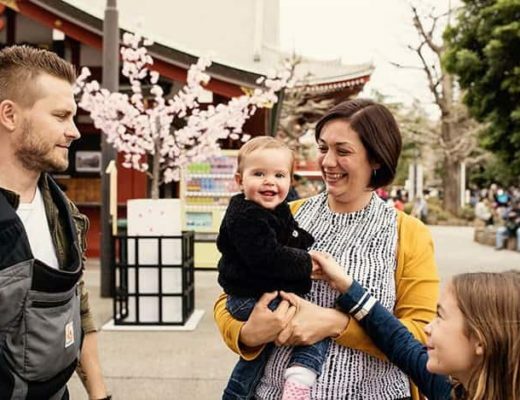 When we travel with our kids, we love to choose the easiest option - even when it means that it will cost a bit extra! So we highly recommend organising a private transfer. Catch the Leonardo Express train which head to the center of the city of Rome every 30 minutes. The train ride is 30min. From there you will need to catch a taxi. Hail a Taxi. A taxi from Fiumicino Rome Airport to Rome city center will cost you around 40 euros. If your family trip to Rome involves a lot of luggage, then you might have to hire two taxis. The cheapest option is to catch the Terravision Shuttle Bus. The ticket only costs 9 Euros (but then if you are travelling as a family this will add up). The bus runs from the airport to central station of Rome, Termini. And lastly, which is by far our preferred method is to simply organize a private transfer ahead of time! More info below! When we go on family holidays to Rome, we love having our hotel transfers organised ahead of time! It simply means that our trip will run so much smoother and just makes life so much easier when you have tired kids!! For a transfer service that is always reliable and that offers exceptional service, we highly recommend Blacklane! Your transfer from Rome Fiumicino airport to Rome will cost you around 60 Euros. Free cancellation up to 1 hour before your pickup! if you are after ancient Rome facts for kids or more information on the Roman empire for kids, why not look at investing on these two fun recommended books for the kids. 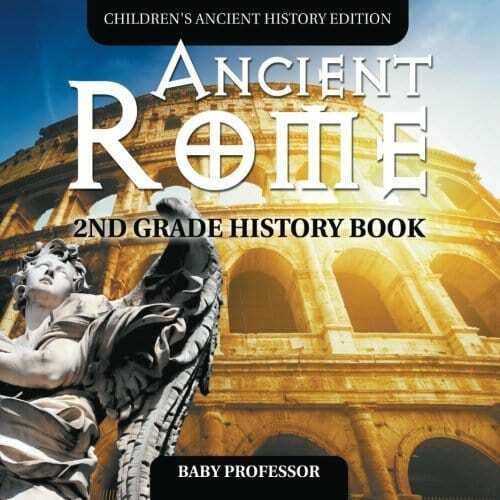 These books are specially designed with Rome for kids in mind and it will educate them and help them fall in love with Rome - as well as keep them busy while the parents relax. 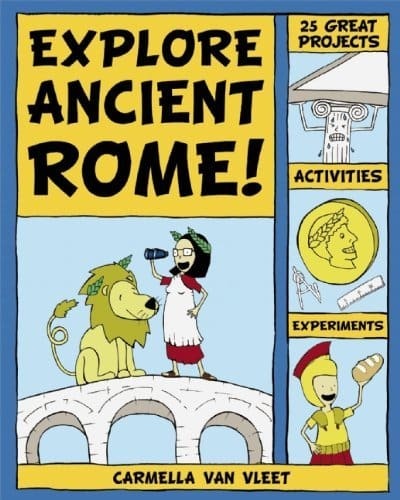 Investigate the fascinating civilization of ancient Rome through 25 hands-on projects and activities for young readers ages 6–9. Ancient Rome (Curious Kids Guide)! Each of these guides is full of lively answers to all those tricky questions about how the world works. 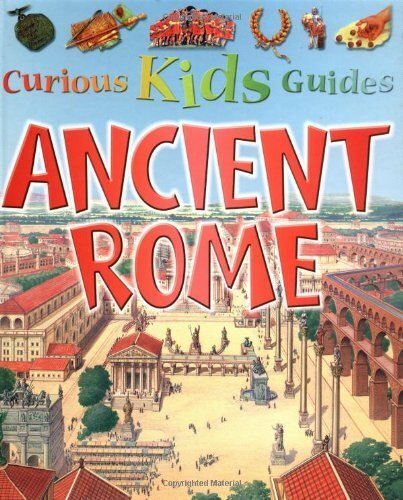 Your child will enjoy learning all there is to know about Rome. 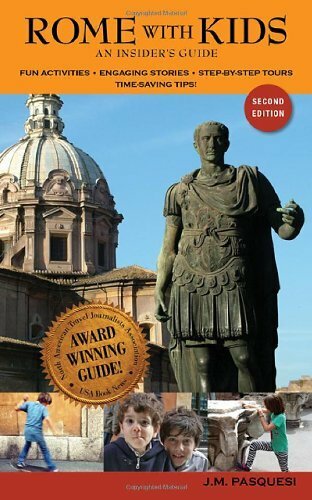 This multi-award-winning guide to Rome with Kids brings each sight to life, telling you what to see and how to see it, with plenty of stops for pizza and gelato! 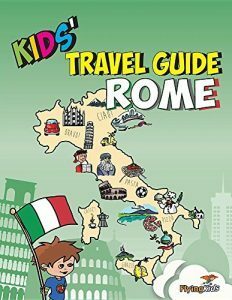 With “Kids’ Travel Guide – Rome” Your kids will become the family tour guide! They enjoy fun facts, challenging tasks, useful tips, coloring pages and exciting quizzes. 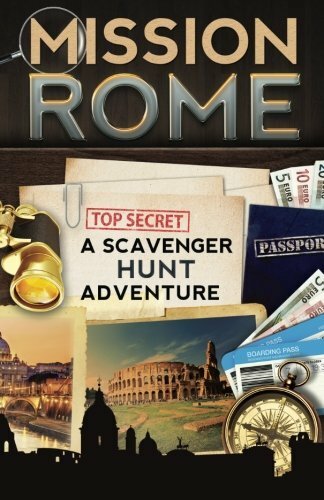 This book guides your child through the famous sights of the Italian capital, engaging them in an exciting scavenger hunt as you explore Rome landmarks together as a family. Do you have plans of travelling to Rome with children in tow? Can you add any great ideas for the list of things to do in Rome for kids? Are there any tips you can add to the list of best things to do in Rome with kids? 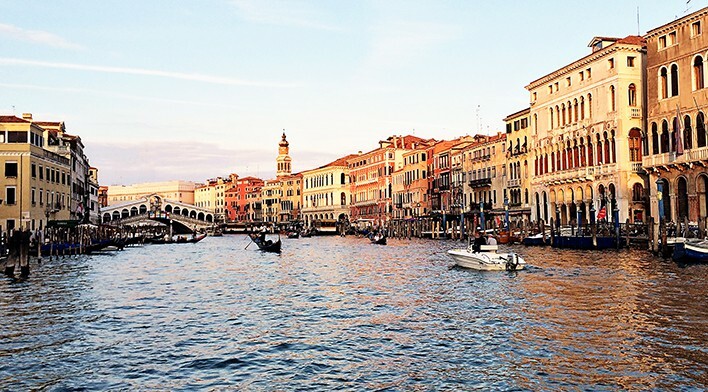 For more stories and informative posts on Italy, click here! Please Pin Me! Thank You! * This post contains affiliates links. Using our links costs you nothing extra but helps us stay in business. Thanks for supporting us!! 17 Best Places to Travel with a Baby in the World! 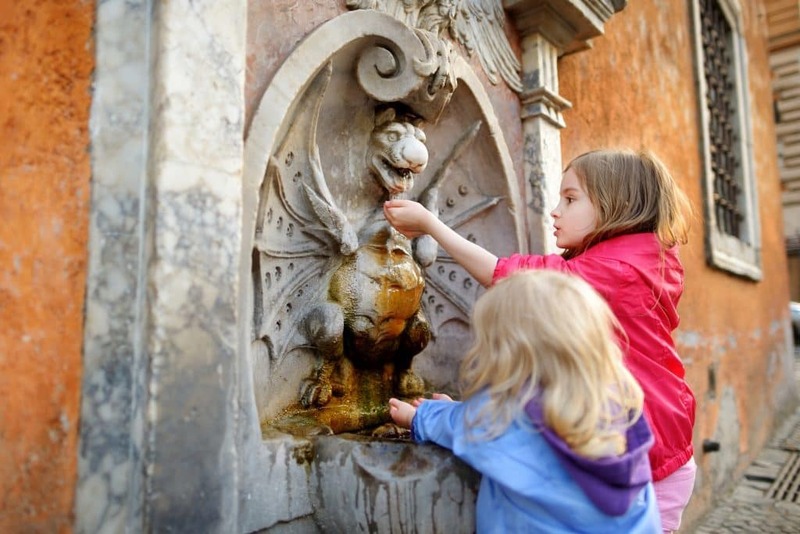 Top 5 Destinations to Visit in Northern Italy with Kids! Wow much more informative than my recent posts on Rome. What a fab city to visit. Had a great time there. Your blog by the way is very good. Lots and lots of great info. Thanks Gavin, sorry we missed your post as it went in Spam (insert rolling eyes here). Thanks for your awesome comment, will hop over and check out your travel blog. Rome is brilliant! Rome is a really great city. Must surely visit anyone. Thanks. Rome is one of my favorite cities in the world!